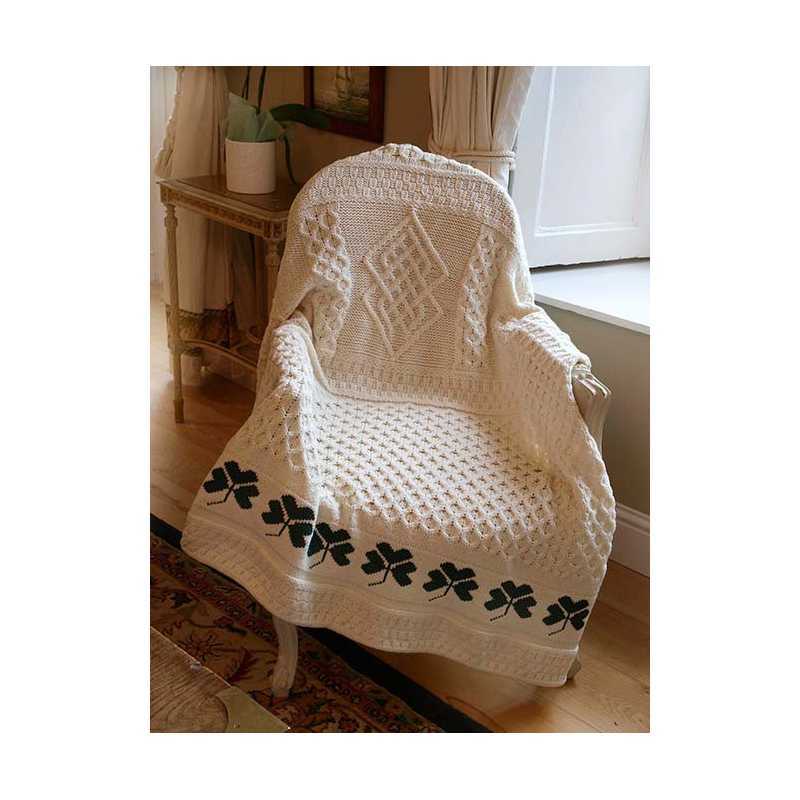 Always handy and welcome, this AranCrafts blanket is made of 100% merino wool. It has approximately a length of 152 cm and a width of 127 cm. Its natural color is suitable for all interiors. Two strips of green clovers beautifully decorate it while wearing chance. 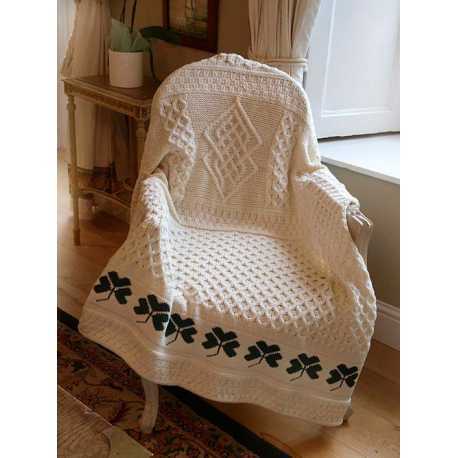 Knitted with multiple traditional Irish patterns, it will bring you a well being feeling.